Help put the spring back into someone’s stride with a Mobile Muscle Therapy Gift Voucher – our gift vouchers are the perfect choice for friends, family or when you want to thank a valued member of your team. 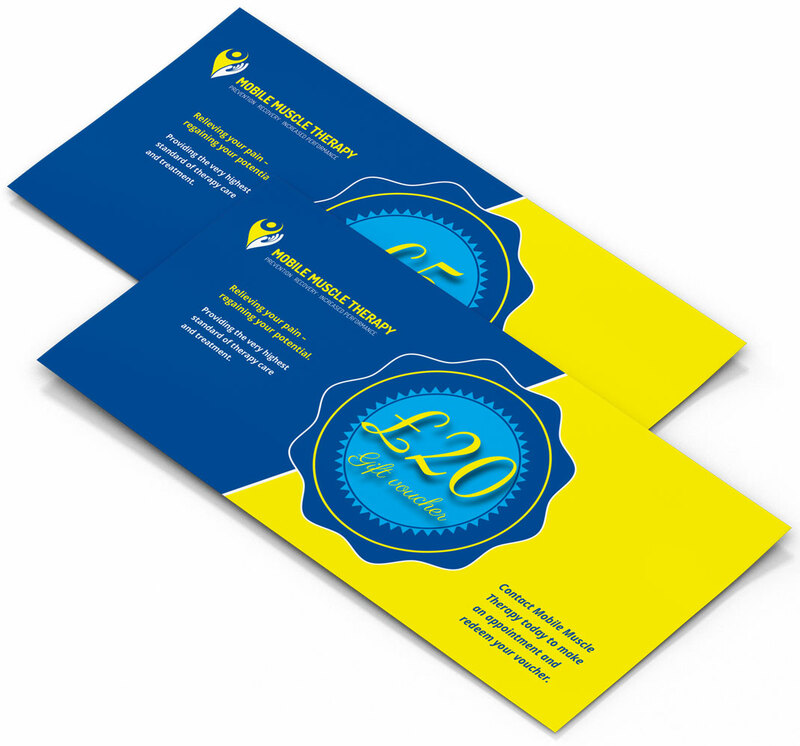 Mobile Muscle Therapy Gift Vouchers come in £20, £10 and £5 values and are valid for a full or part-purchase of a therapy assessment or treatment – multiple vouchers per assessment/treatment are permitted. Vouchers are non-refundable and cannot be exchanged for cash. Vouchers are issued by Mobile Muscle Therapy and can only be redeemed with Mobile Muscle Therapy. Vouchers are valid for purchase or part-purchase and cannot be exchanged for cash either in full or in part, and have no cash value. If the voucher is worth more than the appointment, the difference will not be refunded and cannot be applied to a future order; therefore if you do not use the entire voucher amount, the difference will be lost. Multiple vouchers per order are permitted. Vouchers are only valid for one use. Once the gift voucher has been used it will become void. Mobile Muscle Therapy reserves the right to modify any vouchers’ terms and conditions. Issued subject to terms and conditions.